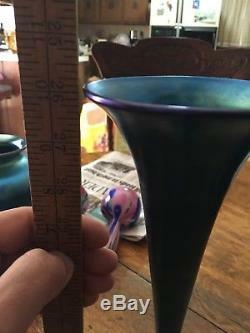 Vase measures just over 10 inches in height. In excellent condition, no chips or damage. 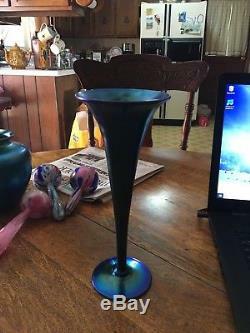 The item "Steuben Blue Aurene Vase Shape #2839" is in sale since Saturday, April 7, 2018. This item is in the category "Pottery & Glass\Glass\Art Glass\North American\Steuben". 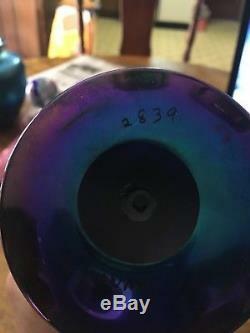 The seller is "keitknic" and is located in Campbell, New York. This item can be shipped to United States.